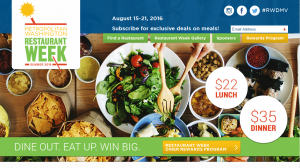 Food & Local Businesses – Toastmasters 2016 International Convention – Washington D.C. The convention happens to fall on restaurant week in DC so you can take advantage of discounts at many local restaurants. Click on the image at right for details.